UHHRU took part in a 5th International Forum “Occupied Crimea: 5 Years of Resistance”. 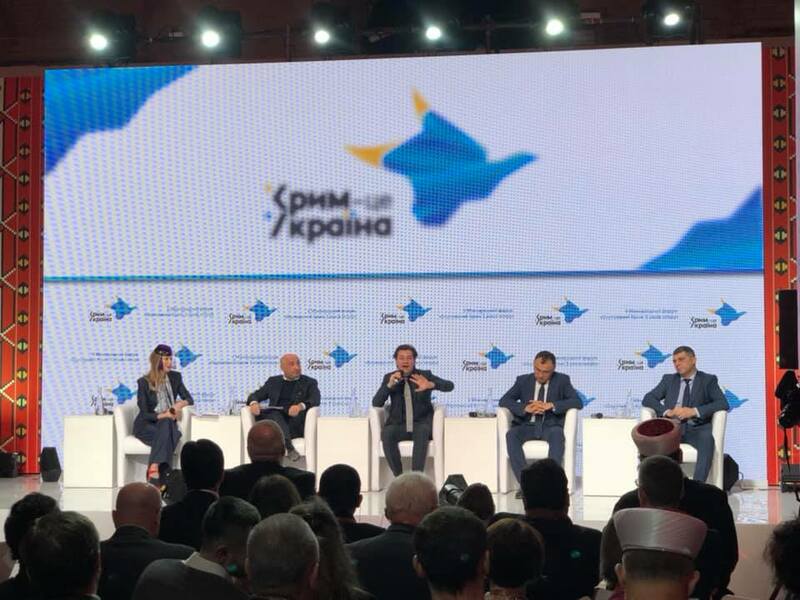 The forum consisted of 3 panels meant to show the world that the so-called referendum held 5 years ago was a crime perpetrated by Russia against Ukraine, an armed occupation. 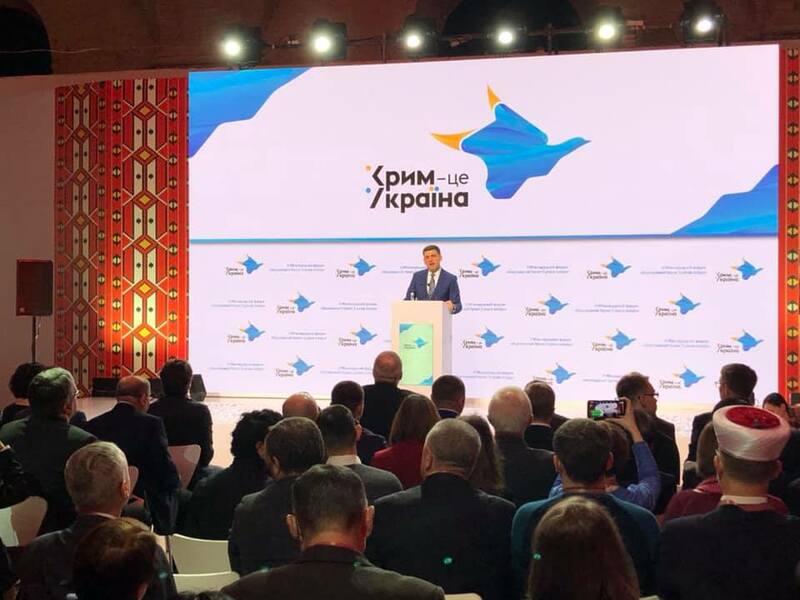 The participants of this high-level event discussed national and international instruments of the fight for the return of Crimea as well as once again highlighted the ongoing human rights violations in the occupied peninsula. At this event, organized by Ukraine’s Ministry of Information Policy, the Ukrainian Helsinki Human Rights Union was represented by human rights defender Darya Svyrydova. Hundreds of questions that start with the words “The next day after the deoccupation, what will happen to…”. What will happen to numerous facts of birth and death that occurred within this period of time and that were not registered by Ukraine’s competent agencies? What will happen to thousands of property rights registered by the occupation authorities? What will happen to persons deprived of their liberty by the RF for a criminal offense? What will happen to persons who in this of that form cooperated with the occupation authorities, i.e. what responsibility waits for them? “5 years. When I said it aloud at some event early this year, I couldn’t help but feel dread. I left Crimea in the spring of 2014 for a short time, for the sake of my own safety, thinking I’d be back soon… And now I have two personal figures – 5 years and 900 kilometers that separate me from my home”, says Darya Svyrydova. A bill on transitional justice developed by human rights defenders that takes into account human rights protection standards. To further the implementation of transitional justice – to adopt a law on fundamentals of the state policy for protection of human rights to overcome the consequences of the armed conflict. To help defend detained Crimeans – to develop a clear vision and promote the creation of a negotiation platform for the release and/or improvement of the humanitarian situation of Kremlin-detained Crimeans. To put real pressure on those responsible for the occupation – to amend the Law of Ukraine “On Sanctions” and to implement the Magnitsky Act. To make Crimea and its residents heard all over the world – to simplify the procedure for traveling in and out of Crimea for independent foreign advocates, human rights defenders and journalists. 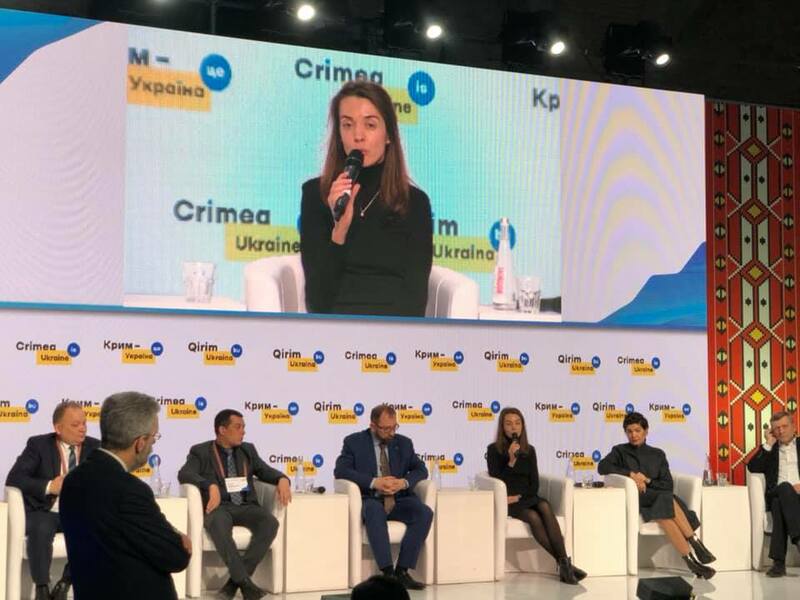 To ensure the right to know the truth and to guarantee prosecution for committed crimes – to strengthen the capacity and professional potential of Ukraine’s law enforcement of Crimea and judges in the conduct of proceedings related to overcoming the consequences of the armed conflict.